Mattel has pulled its children’s book “Barbie: I Can Be A Computer Engineer” after intense backlash from consumers. The book, which implies that women need a man’s help to code, was immediately branded as “disgustingly sexist and offensive” by Amazon reviewers. 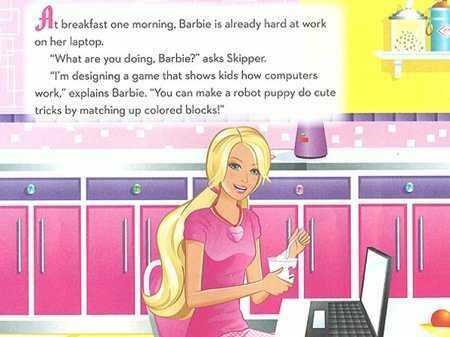 In the story, Barbie is portrayed as a woefully inadequate computer engineer who can’t actually write a line of code without a man’s help. She infects her friend’s computer with a virus, then desperately calls on two male friends to fix it. Disney blogger Pamela Ribon skimmed through a copy at a friend’s house and posted about her on her website. The word spread quickly through the mummy blogger community, and parents were outraged by the book’s message. 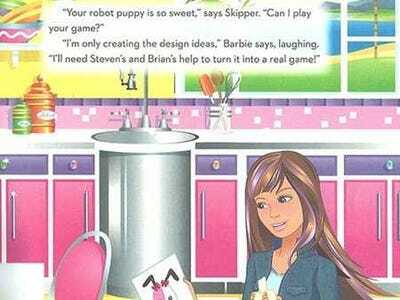 Women in tech also flooded Twitter with messages voicing their opposition to the book and #FeministHackerBarbie began trending.